Antarctica's remoteness and harsh conditions make it a supremely challenging environment for researchers who study the continent. For geoscientists, however, research is particularly tough because the rocks they seek to understand are buried deep beneath the thick ice sheet that blankets the continent. Less than 1% of Antarctica's geology is visible above its icy mantle, so in addition to using traditional geological mapping, geoscientists rely on magnetic anomalies to help them interpret the fundamental building blocks of the continent and their tectonic boundaries. The new map, ADMAP-2.0, uses data collected from aircraft and ships. 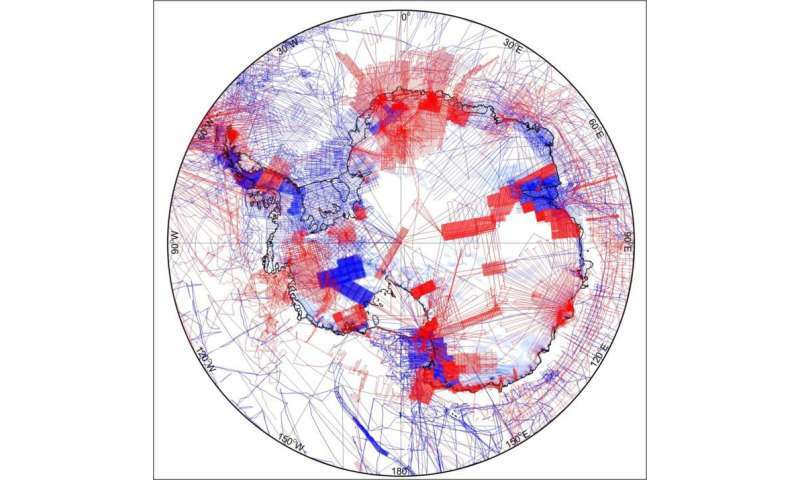 It shows variations in Earth's magnetic field caused by differences in the crust's magnetisation, which help reveal the geology hidden beneath the Antarctic ice sheet and South Ocean. "The project shows the full potential of international collaboration to obtain such continental-scale compilations. By including large new datasets and using advanced re-processing and data merging techniques we have vastly improved the Antarctic magnetic anomaly map". 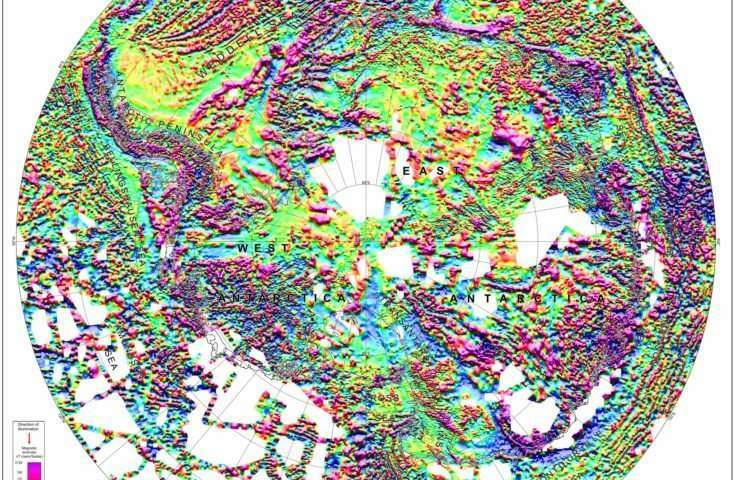 "Our new map helps reveal the crustal architecture of the entire Antarctic continent with much more detail than before. It allows us to image many of the key geological features hidden under the thick ice sheets that blanket the continent." 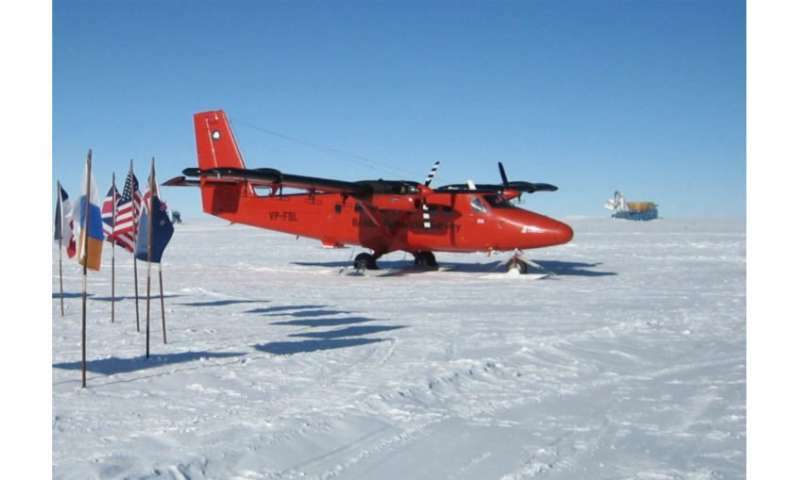 "Until now we have lacked a coherent geophysical compilation needed to trace much better-understood geological features from other continents into Antarctica. This fantastic new tool will help us answer many geological questions, such as how Gondwana broke apart and also help us understand how Antarctica's geology influences the way in which its ice sheets flow today," Ferraccioli explains. "Our next challenge is to fill in the remaining magnetic data gaps by exploring the most remote frontier areas of Antarctica building on the success of our international collaboration". "New magnetic map of the Antarctic" by Alexander V. Golynsky et al is published this week in Geophysical Research Letters. Mapping project to unlock secrets of climate change and ancient supercontinents.